Concepts Of Modern Physics: Special Indian Edition is an informative and comprehensive text on modern physics, providing a balanced and concise account of all the key concepts involved, including recent applications and developments in the field. Aimed for students who already come from a basic background in calculus and fundamental physics, the book is designed in such a way that concepts are explained in a progressive and logical manner, thus ensuring that the student is not overloaded with excessive information. 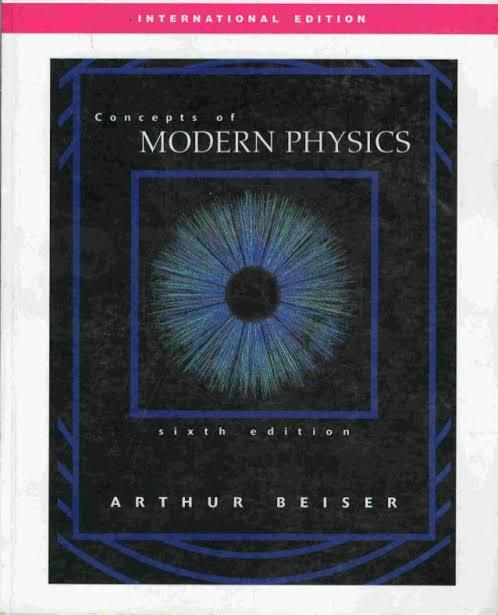 This text is segregated into numerous chapters, covering topics like nuclear transformations, cosmology, particle properties of waves, quantum mechanics, artificial radioactivity, the solid state, nuclear reactions, and others. To help in thorough comprehension of the matter, the book is interspersed with numerous solved and unsolved problems that range from simple to complex. With over 400 illustrations and 700 problems, Concepts Of Modern Physics: Special Indian Edition is easy to understand despite its complex theory. The 6th edition was published by Mcgraw-Hill Education in 2009, and is available in paperback.